The Babe & Bruce. 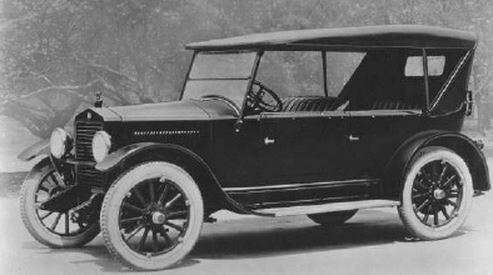 Shreveport, 1921. To see a four-base clout. When someone strikes him out. Babe Ruth, 1921. Public Domain. When Babe Ruth, the home run hero of 1920, arrived at Yankees’ spring training in Shreveport, Louisiana in March 1921, he was out of shape and overweight. 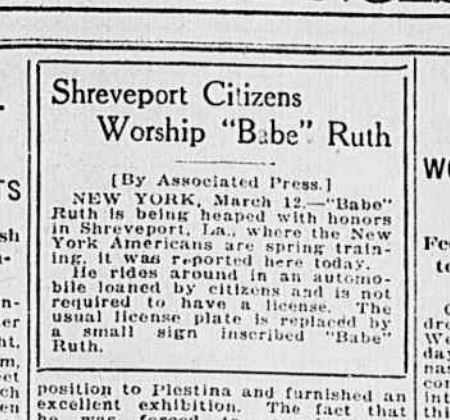 But, that didn’t stop several hundreds of Shreveport fans from turning out to greet Babe Ruth at the train station when he arrived in town on March 5. Shreveport had America’s biggest celebrity in their midst. Babe Ruth in Shreveport, March 1921. But, I’m just using the Sultan of Swat to lure you in. He’s not the star of this post. Bruce Price is. Price was 24, a local, pitching for the Shreveport Gassers, a Texas League team. Think of the Gassers as the Washington Generals to the Yankees’ Harlem Globetrotters. Just a small town practice squad for the Yankees to feast on that spring. Two years ago, I wrote about unusual spring training spots, including Shreveport. Broads. And booze. Abandoned cars. And Ruthian home runs that sailed over outfield walls and into the streets. That broke the windows of passing street cars. 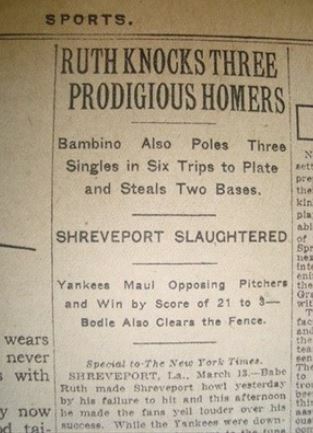 But, maybe it’s time to write about the Shreveport pitcher who got the Babe out. So I sent an email to Janet Johnson who wrote me right back. She confirmed that it was her grandfather, Bruce Price, “Papa Bruce” to family, who struck out Babe Ruth. Bruce Price. Courtesy of Janet Johnson. 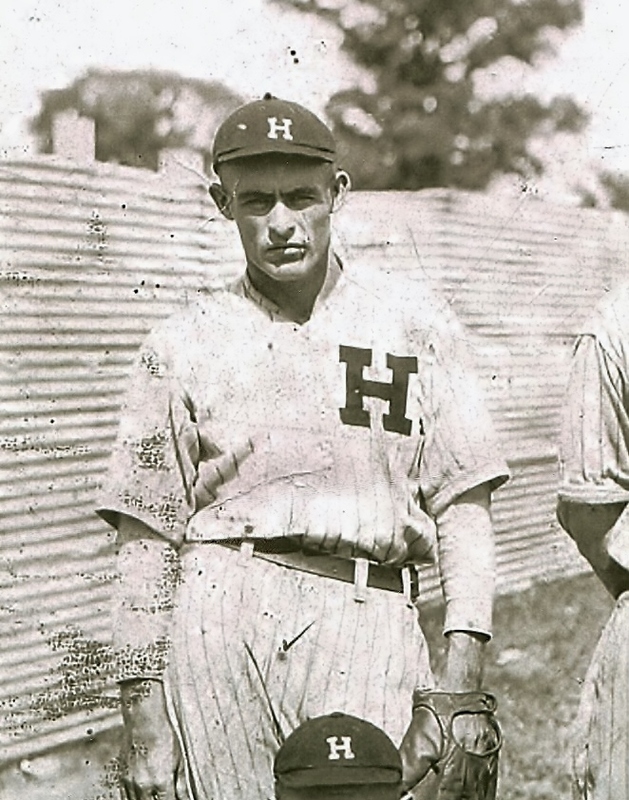 He was a smallish pitcher – maybe 5’8” and 150 pounds or so. A righty. “My dad says Papa would go pitch for teams in little towns in the area. He also said he played baseball at Louisiana Tech one year but never went to class,” Johnson said. It may have been that curveball that buckled the Babe. 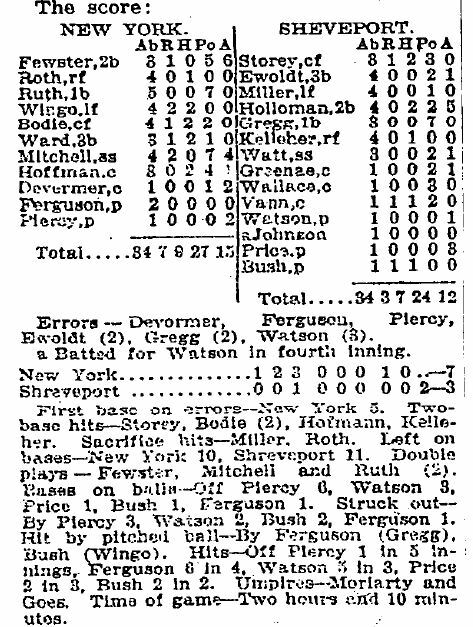 But, the box score from that March 12, 1921 game, like many family memories, had gotten a little fuzzy with age. Fun Fact: That’s not how you spell Shreveport. Turns out, Price hadn’t struck the Babe out twice. But, there’s still a story to tell. The Gassers starting pitcher was shelled that day, giving up six runs over three innings. Price came in in relief, pitching the 4th, 5th, and 6th. He pitched three scoreless innings and faced Ruth once, getting him to hit a weak infield grounder that Price easily fielded. If you want to quibble about a strike out’s value over an infield out, go ahead. An out’s an out, if you ask me, and I think Price did Ruth a favor by making him leg out a play to first. After all, it was early in the spring and Ruth still had 20 pounds to lose. The fans had come to see Babe Ruth, but as the game went on they began to cheer their hometown boys instead, especially when the Gassers got Ruth out. Despite Ruth’s 0-for-5 day, the Yankees won 7-3. 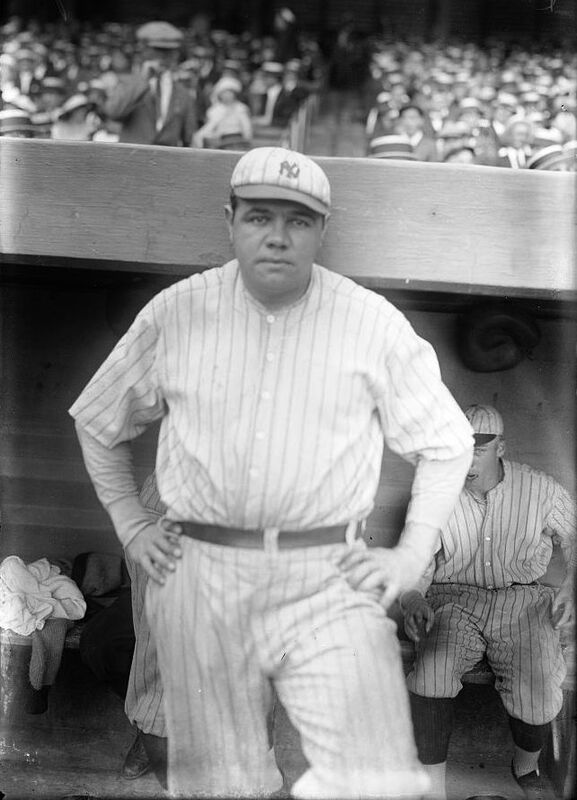 The Babe bounced back the next day in Ruthian style, going 6-for-6 – three homers, three singles – and the Yankees stepped on the Gassers 21-3. Price played a few more years on local teams, got married to a girl named Maggie, had four children, farmed, and drove a school bus. He rarely missed church on Sunday, played the harmonica, and raised a family that stayed close to home. “Everyone who knew Bruce just loved him,” Johnson said. Baseball still runs in the family. Many of Bruce Price’s children, grandchildren, and, today, great-grandchildren played in high school and some into college. One great-grandson – also a righty pitcher – played at Southern Mississippi about 10 years ago, was drafted by the Kansas City Royals, and played a season in the minors before being sidelined with an injury. Bruce Price died on March 25, 1983. He was 86. Babe Ruth hit 714 homeruns over 22 seasons. He was a career .342 hitter. It took a great pitcher to get the Babe out. Bruce Price was one of them.